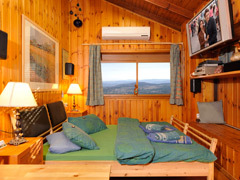 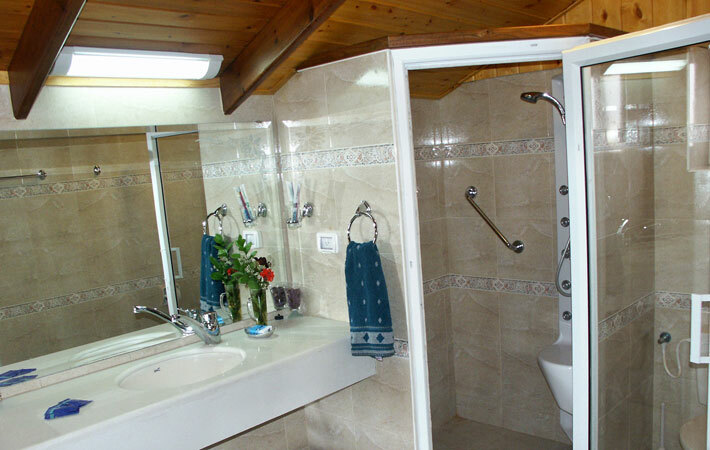 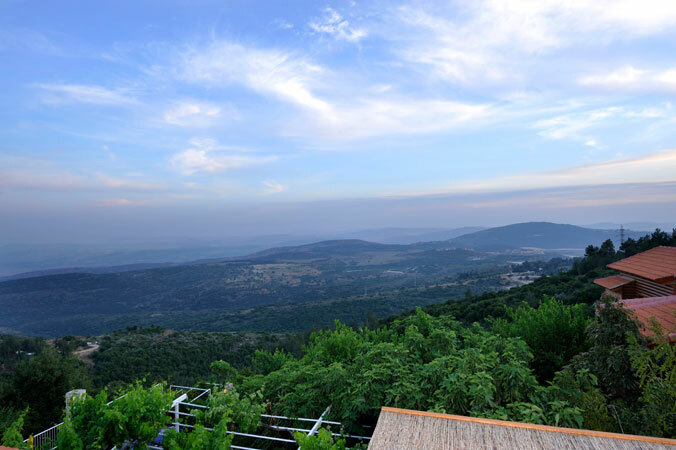 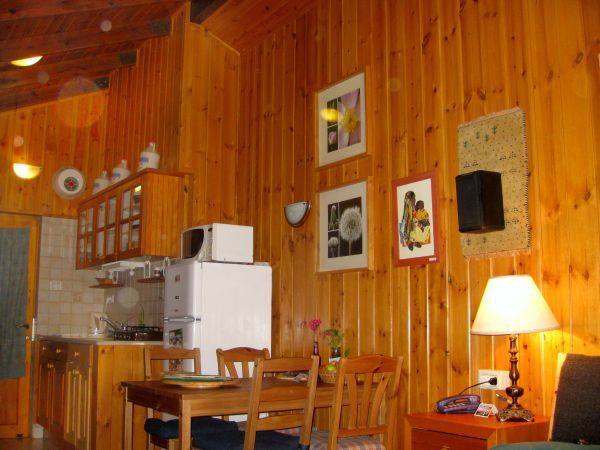 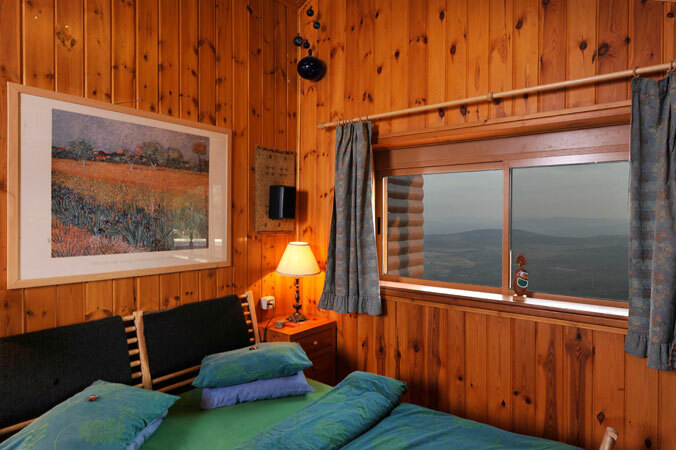 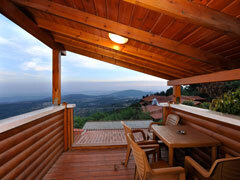 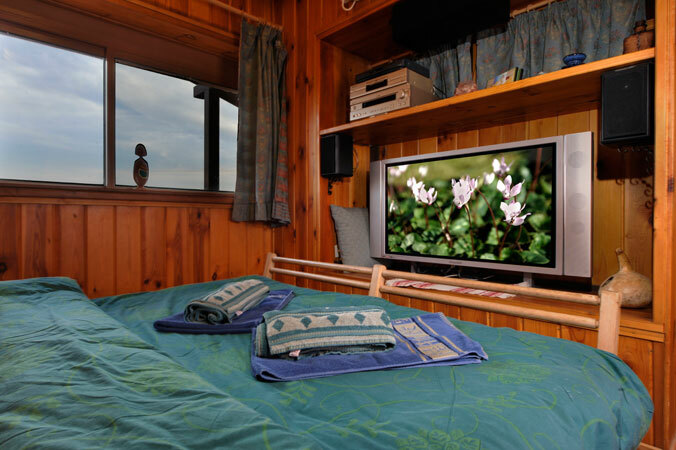 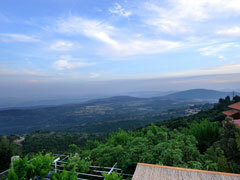 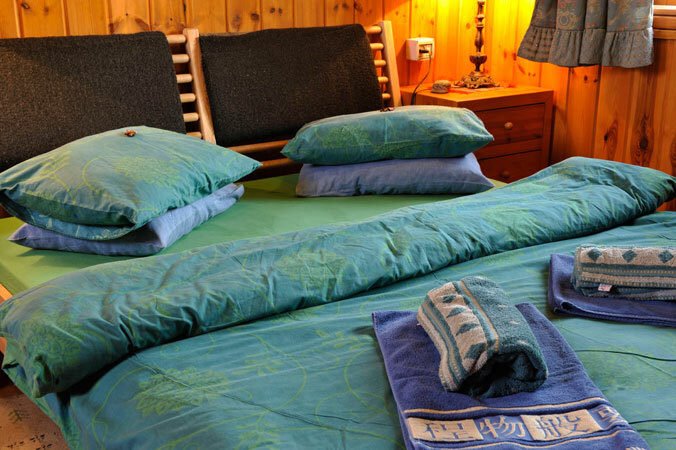 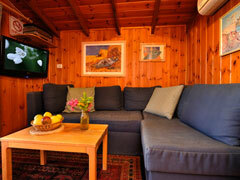 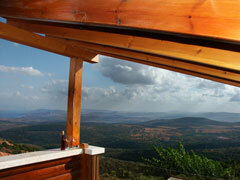 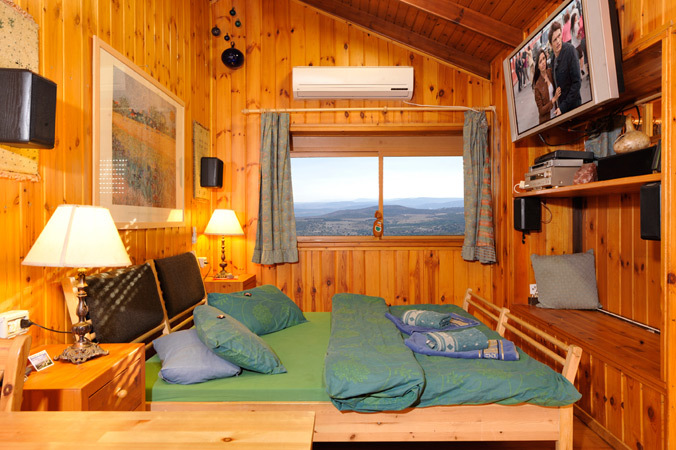 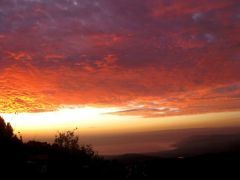 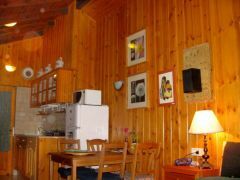 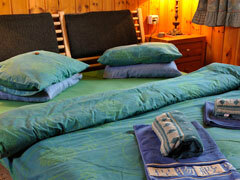 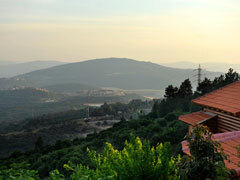 Wooden suite, living-room and bedroom, where a couple or family can enjoy 180 degrees of a stunning Galilean view. 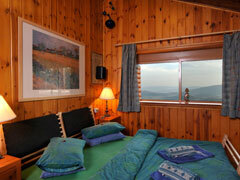 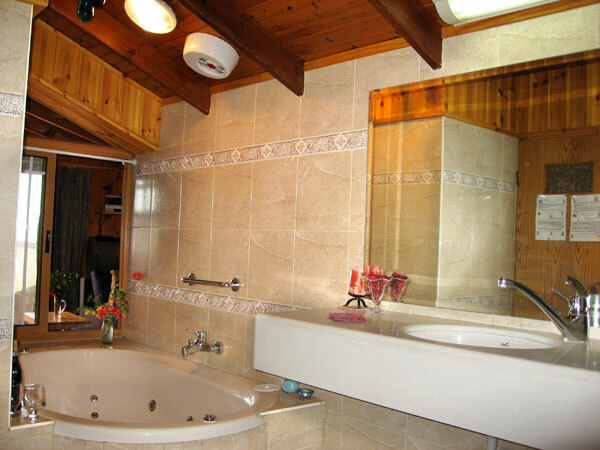 Spacious wood penthouse suite with parquet, porcelain tiles, and wooden floor, for romantic couple or family. 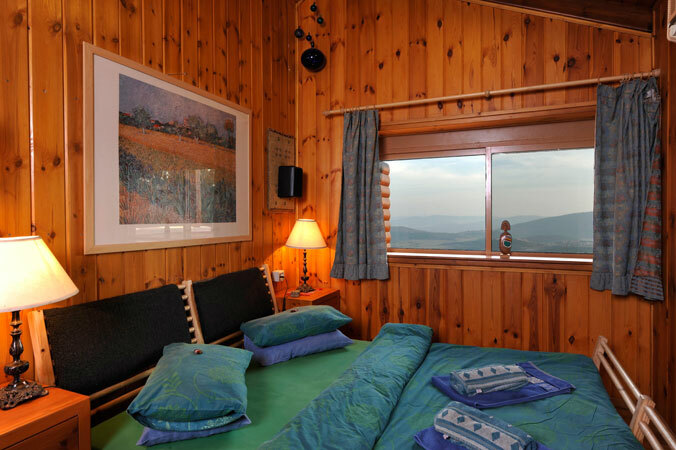 The view can be seen from both the living room and the bedroom. 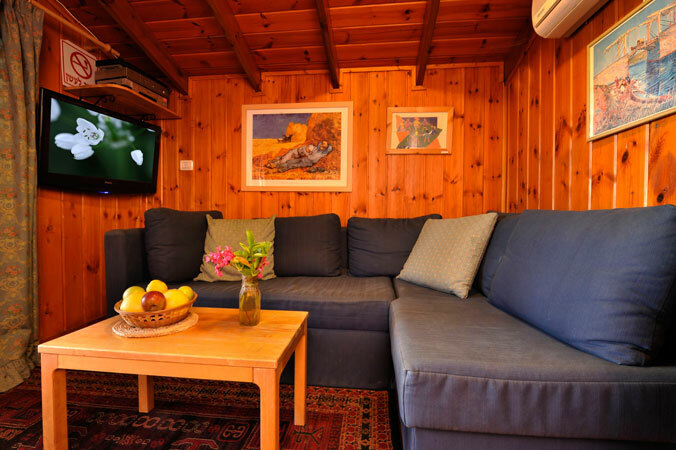 The living room has a corner sofa which converts to a double bed for 1 or 2 children (larger families can be provided with an additional mattress), or another couple. 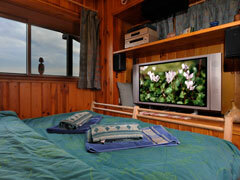 There is a separate TV system and an AC system for independent heating/cooling. 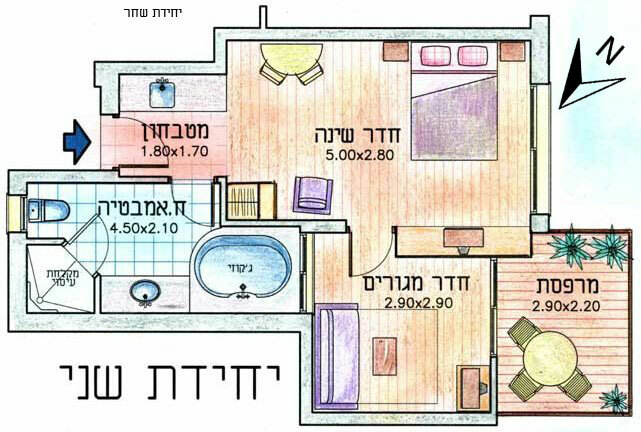 The bedroom in this suite has the central floor space and combines with the kitchenette and dining corner. 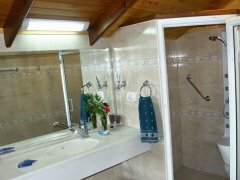 There is a Home Movie System and an AC system for independent cooling/heating, and a clothes closet The jacuzzi is in the bathroom, where an inner window enables one to watch the view while bathing. 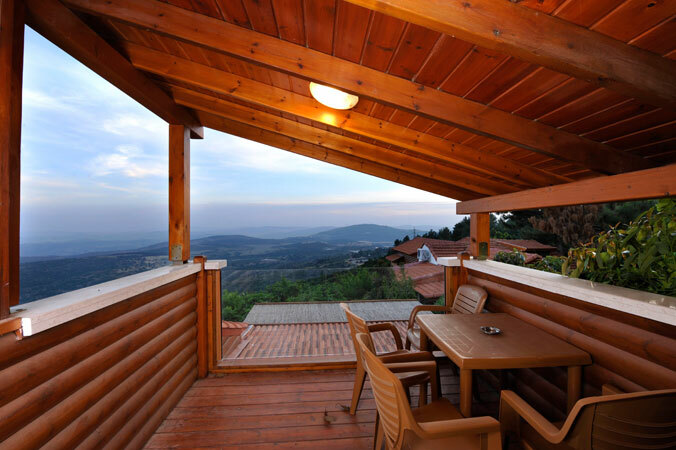 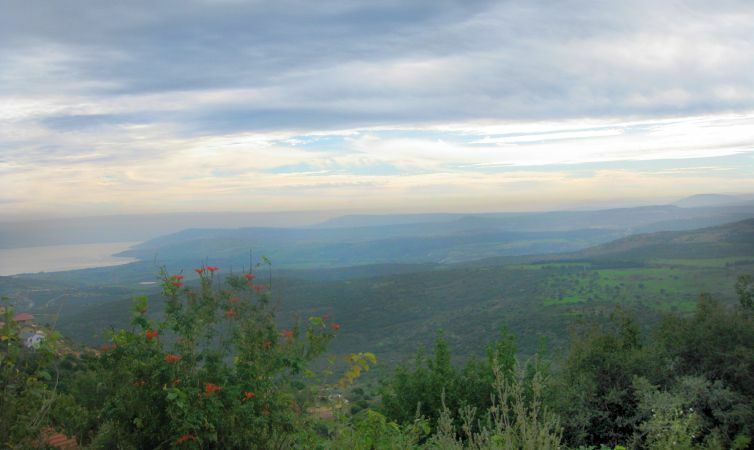 A panoramic porch, with a covered wood-beamed roof & a seating area, facing the Galilean hills, the Kinneret and the Golan Heights. 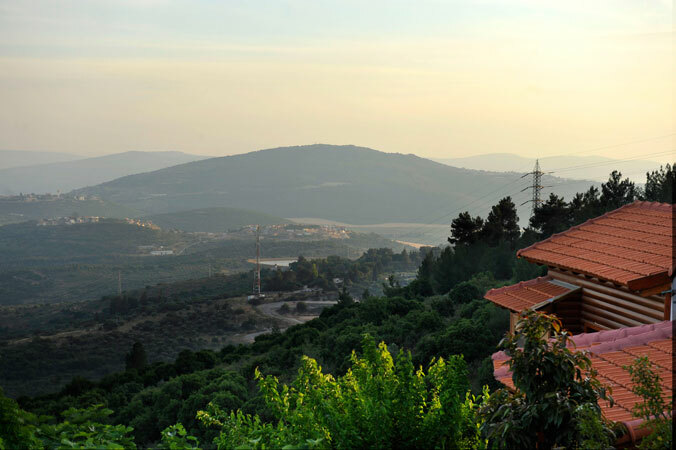 What does an air conditioner and a computer have in common? 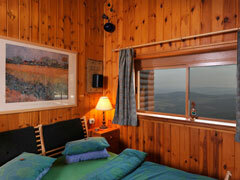 They both don't work very well when you open Windows.